Weekday Special! Cats & Dogs in Doggie Chance! One Item from Cats & Dogs Selection is guaranteed in Doggie Chance!! 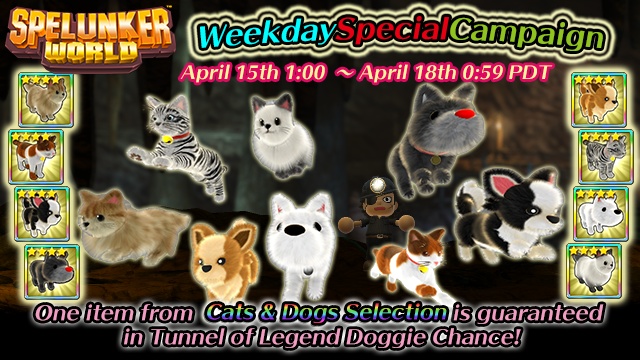 One 4-Star item from Cats & Dogs Selection is guaranteed in Doggie Chance at Doggie Digging Tunnel of Legend!